Wahoo! 400 episodes! 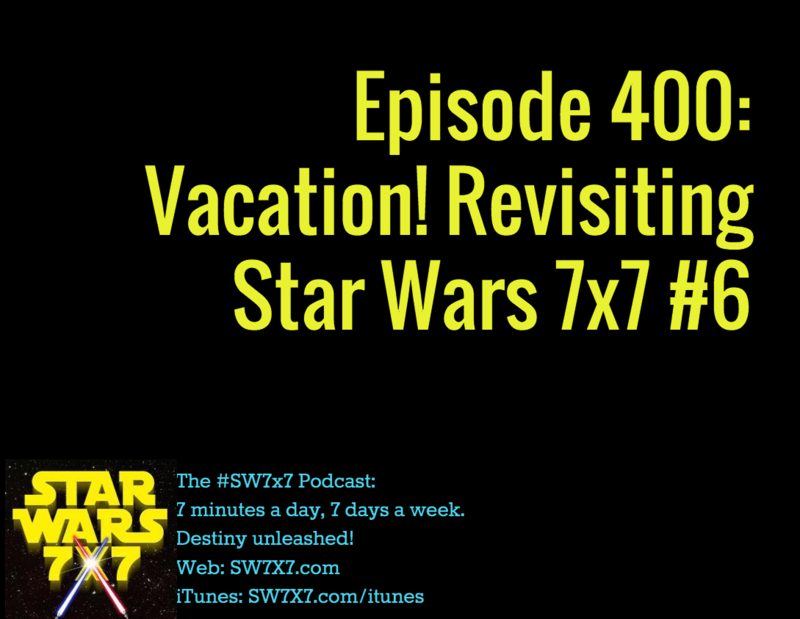 We’re still on vacation through tomorrow, so we’re continuing on our review of the Star Wars 7×7 archives (episodes you can’t find on iTunes anymore! ), today featuring our look at Revenge of the Sith from July 2014. We’ve also got a few very special thank yous to share on this episode: Four people without whom the podcast would not exist in its current form, and in a couple of cases, without whom the podcast wouldn’t even exist in the first place, let alone become as successful as it has!